ARE YOU A SHORT TEMPERED PERSON? HERE ARE TIPS TO CONTROL YOUR ANGER! We all have the experienced the feeling of anger. But the way of expressing the same feeling varies from person to person. Anger is not a problem but the circumstances we have to face due to the lack of anger control might lead into difficulties. The best way of controlling anger is not by controlling anger itself but by trying to understand and realize the reason behind that feeling. A feeling you get in result of a threat towards you in which your body reaction excrete adrenaline to increase the heart beat and cause muscle strengthening and might also generate shaking nature to your limbs. IS FURY A BAD HABIT ? Fury can be result of reasons like, injustice, impatience or neglecting behavior of others. 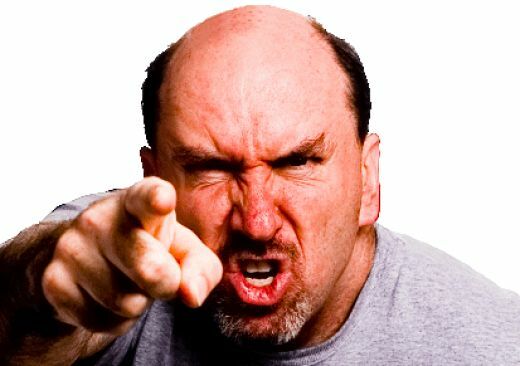 The range of the cause to anger might be different from person to person. Anger could also be a cause of expectations from others, this depends on the nature of the person’s way of thinking. Expressing your anger in soft and appropriate words is the best way to avoid problems caused by anger. Hide anger within you b giving effort to realize the reason behind your furious feelings. But the after effect of hiding it within yourself without expressing in appropriate manner would cause you physically unstable and mentally tainted. Make effort to relax with outer appearance and most importantly within yourself. Take deep breathes and let the fury fade away slowly and peacefully. Does fury effective to your health ? Researches had proved keeping anger within makes the person suffer in within, resulting inability to sleep, inability to digest and most of all it effectively cases heart problems. Bring out the fact t short tempered person to be controlled is somewhat hard to do. Because such people only might have their opinion and try proving their point of view rather than making space for other opinions. If one’s self feels uncontrollable and you need help to get out of it. The best is to consult a knowledgeable person for further advice. How to act in front of a furious person ? The best to be is quiet and patient. Till the person’s anger slowly reduce. Or it is bes to talk in calm and loving way which will drop his anger in sometime. The most unsuitable to be is angrier than he is for that might only make it worse.